Alexa lives in California! 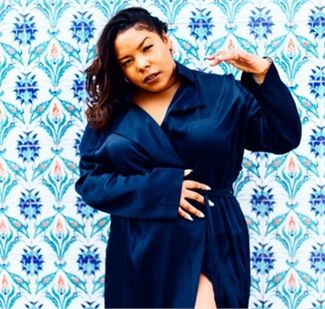 She created the Every Body Deserves Love movement, this is organizational movement that finds innovative ways to encourage men, women, and children to understand they are worthy of loving themselves. Her style is very young and fun! Allanica lives in the UK. She blogs via her YouTube channel. Her style is on trend and fabulous! 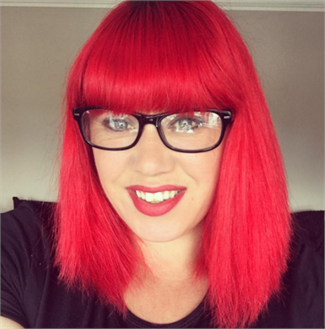 Amanda lives in Edinburgh, she blogs via her own online blog and her social channels. Her style is very bright and unique. 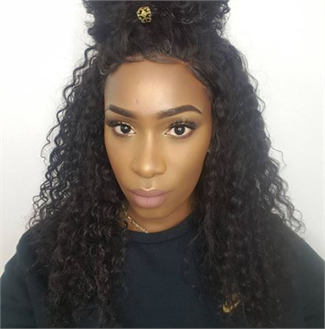 Amie lives in the UK, she is a plus model and also blogs on her social channels. Her style is very fun and on trend! Ashleigh lives in Seaham, she is the founder of Ashleigh Money Saver, Britain's favourite money saver. 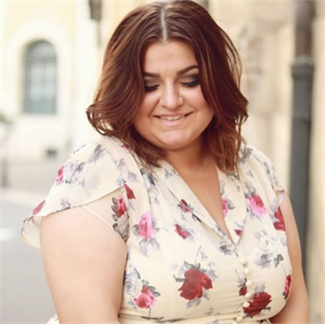 Susie lives in Milan, she's a mentor, self confidence coach and a body positive advocate! She has a very individual and bright style. 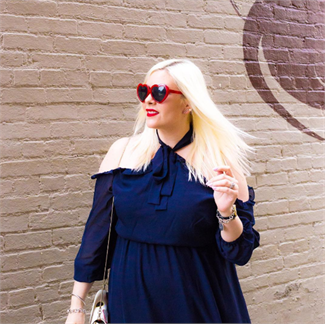 Dani lives in Washington D.C. She blogs via her own blog, Blonde In The District and has been doing since 2014. She has a very sophisticated style. 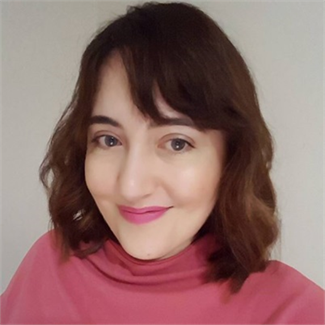 Catherine lives in Northern Ireland, she blogs via her own individual blog. Her style is very fabulous, she loves a jazzy pattern! 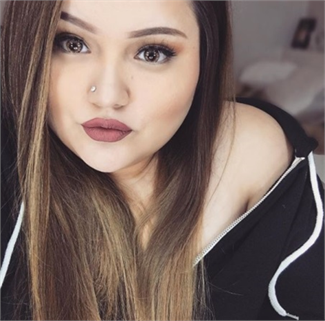 Chanel lives in London, she blogs via her own individual blog and via her YouTube channel! Her style is very simple yet sophisticated! Janina is a German blogger, she blogs via her own individual blog and she is also a plus model! 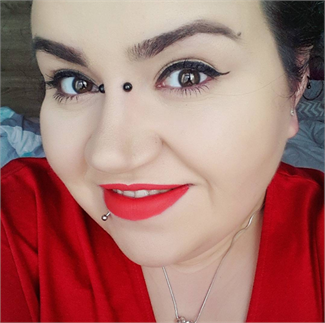 Chloe is based in the UK, she blogs via her own blog, Chloe In Curve. Her style is very high fashion, she always looks glam! 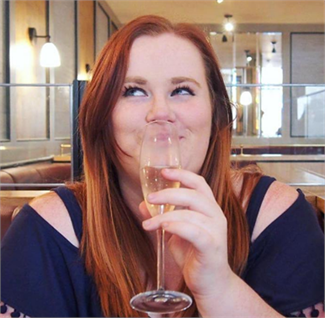 Chloe is based in London, she blogs via her own individual blog and social channels. 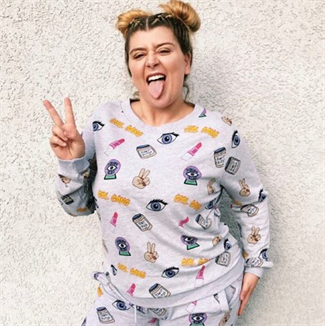 She has a very quirky and unique style and she defines the term #GIRLBOSS! Ela is a German blogger, she blogs via her own online blog and has been doing so since 2012. She blogs about fashion, beauty and lifestyle. Anne lives in Michigan, she blogs via Curls and Contours. Her personal style is born out of comfort and functionality! Ella lives in California! 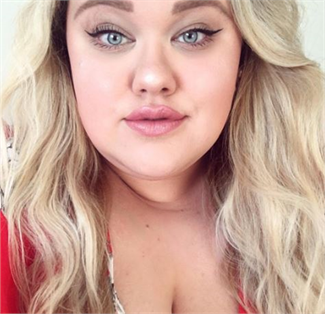 She blogs via her own individual blog, Curveella. 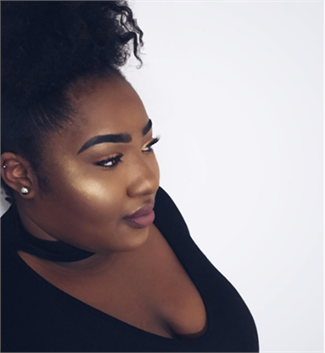 She not only blogs about fashion but she also has a passion for beauty! Hayley is based in London! 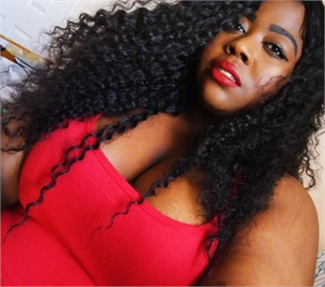 She blogs via her own online blog, Curves and Curls. She has a very vintage style and is a sucker for a glam dress! Sam is an Australian blogger! 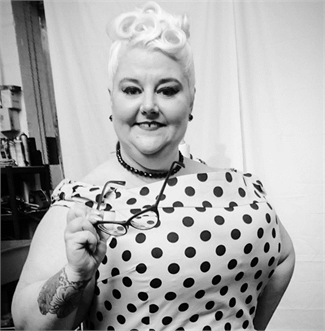 she blogs via her own online blog and social channels under the name Curvy Sam. 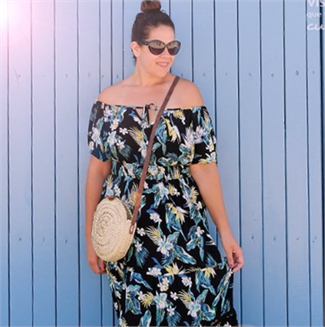 She not only blogs about plus size fashion but also beauty, travel and wellbeing! 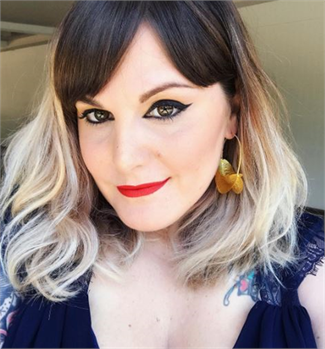 Dora is an Italian stylist, fashion editor and a fashion blogger. She now currently lives in London. Her style is very sophisticated! Elena is a Spanish blogger! 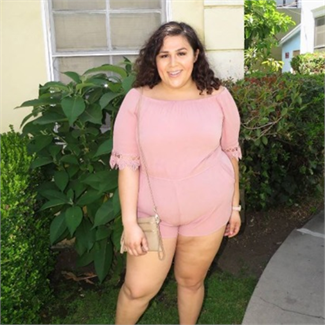 she blogs via her social channels and also via We Lover Size! Her style is very bright, you will rarely see her in something plain! Emma is a UK vlogger. 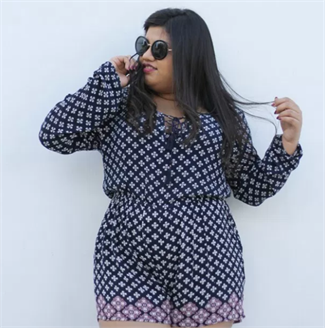 She blogs about fashion, beauty and the occasional home wear too! She has a very simple sense of style but loves the occasional pop of colour! Erika is based in Ohio in USA! She blogs via her Instagram social account. She has a very fun and young sense of style but it always up to date with the most recent trends! 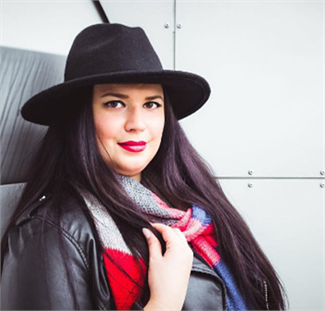 Diana is an internationally published photographer and blogger. She has a very unique sense of style and loves a vintage bargain! Corissa is based in the Midwest US! 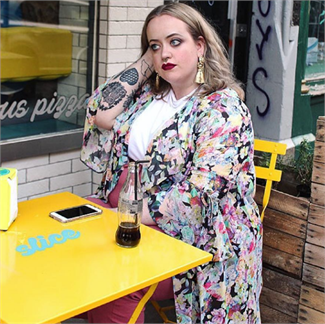 She has been blogging online since 2015, she is a very fun individual and she showcases this through her sense of style! 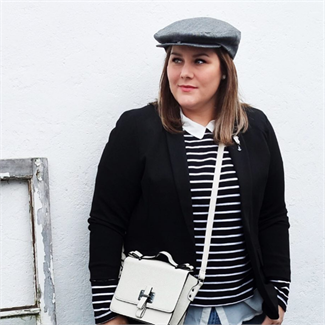 Gaëlle currently lives in Paris, she is creator of the challenge French Curves which brings together fifty round French blogs. She is a very bold and confident individual and this shines through her clothes! Georgina is a Sheffield based blogger. She is the founder of She Be Loved magazine. 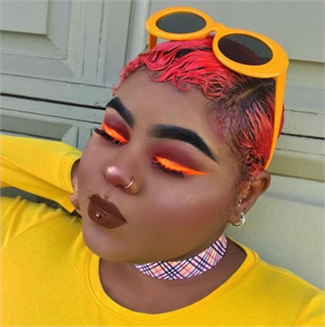 Her sense of style is as bright as her hair! Gia lives in Los Angeles! She has an avid love for fashion and this is clearly shown on her Instagram page. She goes by the name The Sassy Truth! Charlie is a body positive advocate! She blogs predominantly via her online blog Gin Fuelled Blue Stocking. 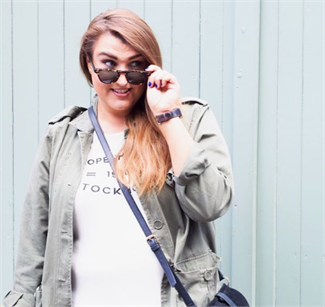 She blogs about food, fashion and GIN! Hanna is originally from Finland but is currently living in London. Hanna's outfit posts focus more on the photography than the words. 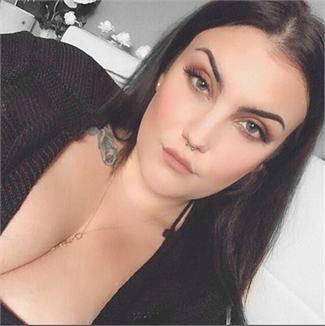 She also does some beauty and lifestyle posts! Stacey is based in the USA. She has a very individual and cool sense of style. Her hair and make up are NEXT LEVEL. 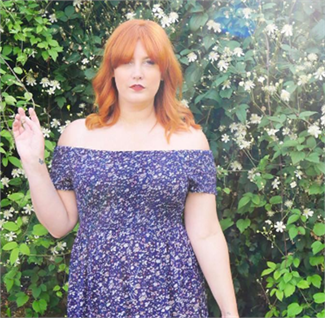 Holly is a Scottish fashion, lifestyle and beauty blogger! 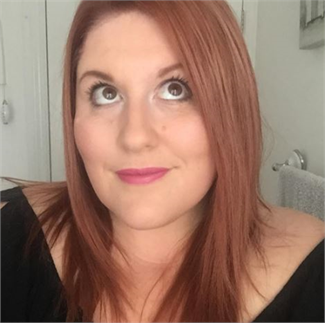 She blogs via Holly's Beauty Box! She has a very on trend sense of style. 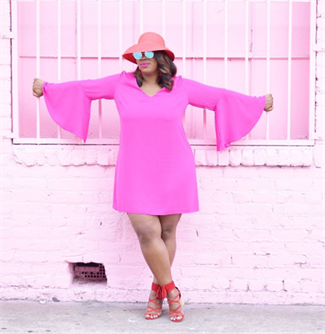 Joi is an LA based blogger, she blogs on her social accounts and also on her own blog, In My Joi! You’ll find her saturated in bright colours, draped in vintage, and topped in hats. 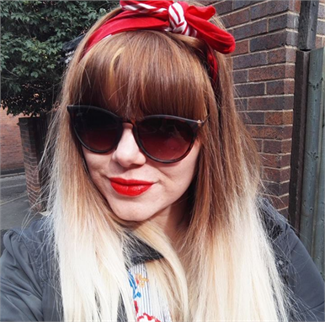 Emma is a UK blogger and vlogger! She is based in the UK, and is a very fun character. She has a very sophisticated sense of style and always looks great! 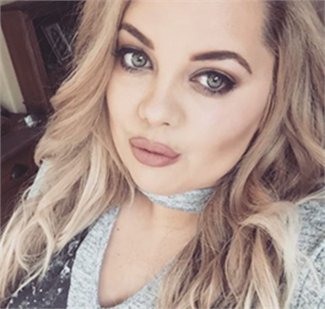 Jess is a Geordie blogger, she blogs on her own individual blog about all things fashion, beauty and lifestyle! 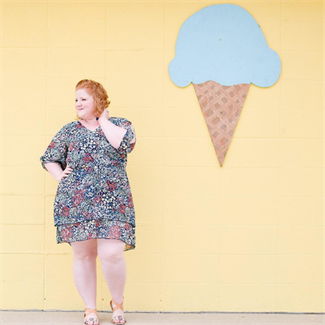 Her style is amazing and she loves a floral print! Katie is a disabled curve model! She blogs via her own individual blog. She has a very young and fun sense of style! Katt currently lives in Birmingham. 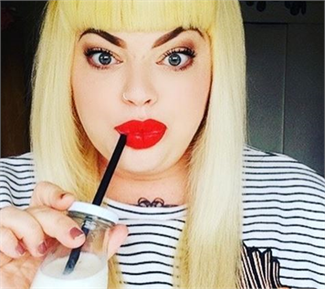 She blogs via Fat Girl for Life. 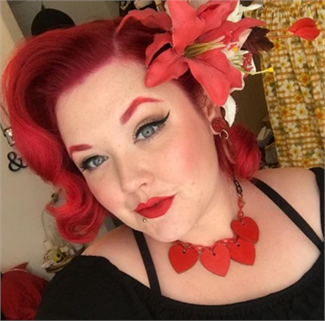 She describes her style as 'a hodge podge of vintage love and summer goth! Kellie is based in Leeds. 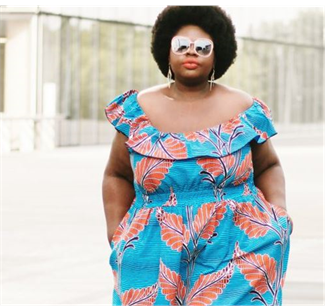 In the blogging world she is known as Big Fashionista. 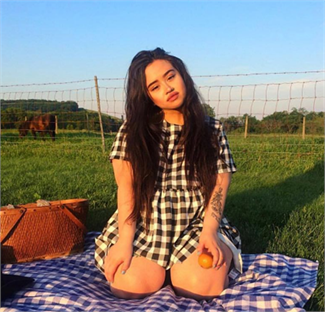 She blogs about fashion to skincare to food! 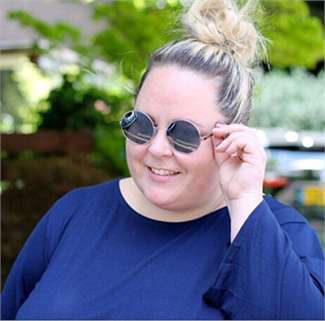 Kirsty is a UK lifestyle, fashion and travel blogger. She currently lives in Telford in the West Midlands! She has a very feminine sense of style. Lalaa is currently living in Paris! She is a fashion and lifestyle blogger. Her style is fresh and edgy! Leah lives in Bexhill in East Sussex! 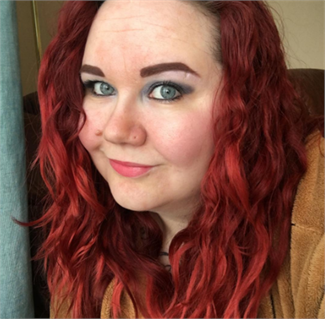 She mostly writes about fashion, beauty and her life with chronic illness. She has a very unique sense of style and looks great! 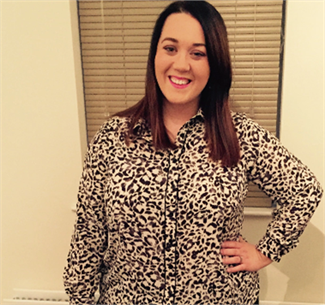 Leanne Lives in the South Wales Valleys! Her blog is predominantly parenting and lifestyle with the smidge of fashion here and there! 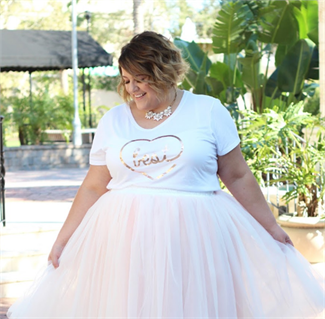 Jessica is a mother, wife, spokeswoman, entrepreneur and a blogging pioneer! Phew! Aka, wonder woman! Jessica has a very bright sense of style and is very sophisticated. Lolly is a Scottish girl living in Sheffield. She has a very unique, bright and fun sense of style! 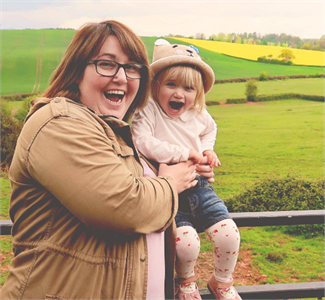 Louise is a vlogger, author and a mother! 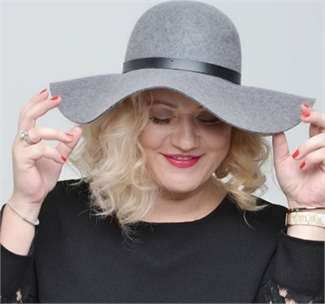 Louise makes videos about beauty & fashion, positive living, motherhood and lifestyle! Lucie currently lives on the outskirts of London. Lucie is mother to little Amelia. 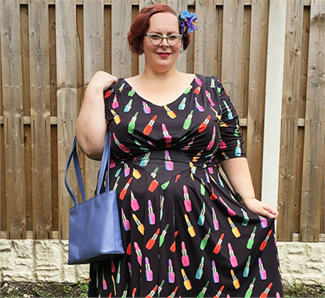 Her style is very vibrant, she loves a jazzy pattern! 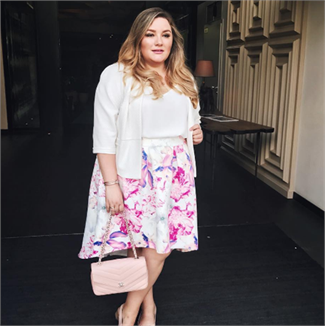 Ekaterina is a Russian plus size blogger! Her style is simple yet chic, she looks good in everything! Mayah is from London. She is a fashion, beauty and Michael Jackson enthusiast! She loves vintage pin up and rockability looks. Mel currently lives in Derby. She blogs predominantly via her Facebook page. If you're looking for mumsy fun and endless laughs look no further! Mel lives in London currently. 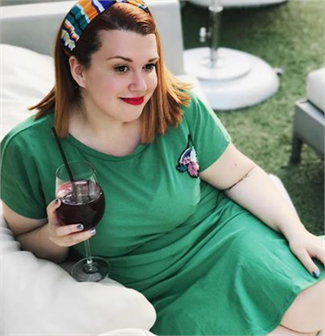 She's a sewing enthusiast with a vintage-modern style, likes flared skirts, hard-to-walk-in heels, impossible pin curl sets, bourbon, the word 'knickers' and ridiculously uptight colour matching. Emily lives in Bristol! She blogs mostly via her YouTube channel and Instagram account. 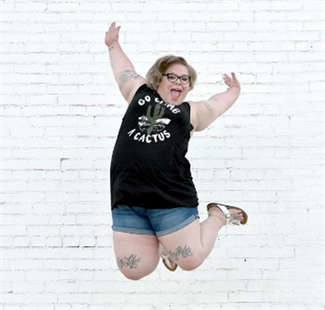 Her photo's are INCREDIBLE and her style is even better, she could brighten up anyone's day! Michaela is based in London. 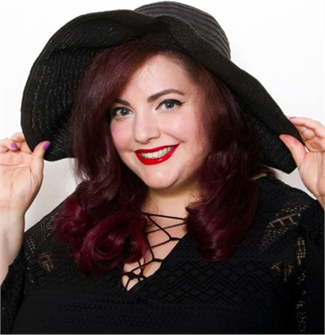 She blogs via her own blog under the name Cardiffornia Gurl. She has a very quirky sense of style from silver skirts to pineapple bodysuits, she rocks it! Milli is a German blogger/vlogger. She predominantly blogs through her own YouTube channel. She talks about fashion and beauty! Iris is from the Netherlands! 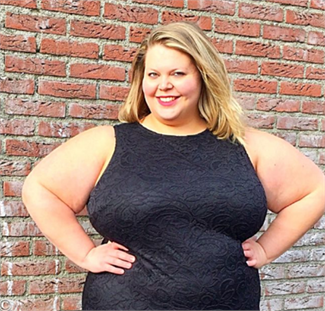 She was Miss Plus-size Fashion Netherlands in 2012. She blogs through her own on blog and social channels under the name Miss Iris. Mookie is a Norwegian living in the UK. Mookie blogs about fashion, beauty and lifestyle. She also LOVES to travel! Mookie’s style is influenced a lot by the style in the 40’s and 50’s. Nastaran lives in Oslo, Norway! She blogs via her own individual blog. She has a very casual sense of style but still manages to look so incredibly glam. 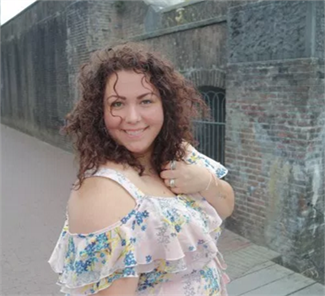 Nicole lives in Amsterdam! 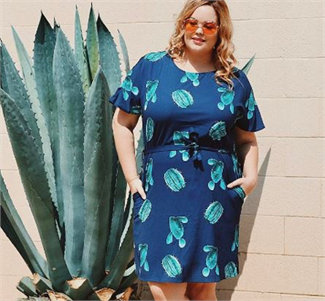 She is the founder of Empowering the Curvy Woman. Her style is exactly like her, fearless! Nicolette lives and works in Los Angeles and NYC. 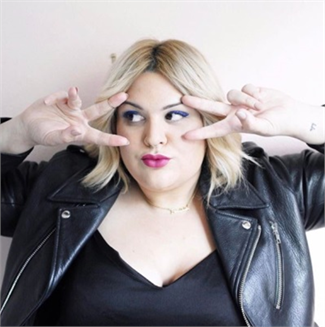 Nicolette is contributing editor at Marie Claire from 2011-2016, and now contributing to Glamour, Teen Vogue, Refinery29, and more! 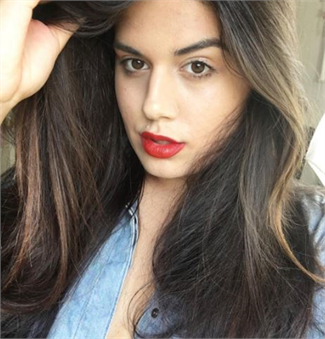 Ninaah, blogs about travel, fashion, lifestyle, beauty and mind and body. Noemie is a French blogger! 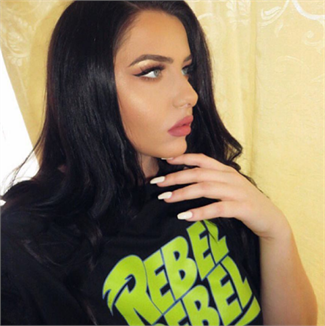 She blogs predominantly through her Instagram account and YouTube channel. Her style is on trend, she loves a graphic tee! Nyome is a curve model and blogger! 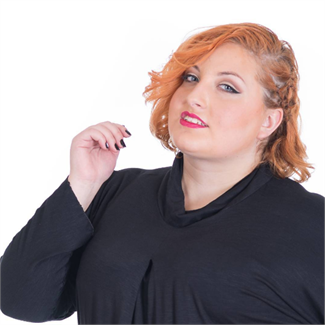 She is passionate about making a difference with her actions and words in the Plus Size World. 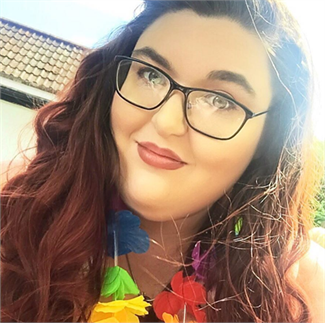 Paola is a Body-Positive and Mental Health blog from a plus-size blogger and photography student who is insanely passionate about fashion, empowering others and challenging society. 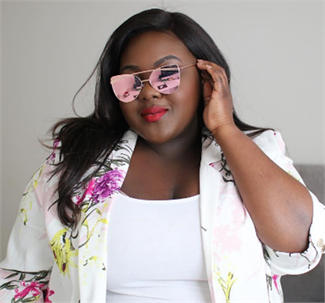 Pamper and Curves is a fashion and lifestyle blog writing about the latest trends covering: cruelty free beauty, crafts, events, fashion, interior decorating, vegan lifestyle and work. Poppy is a curve model. She blogs through her social channels. She has a very casual sense of style but manages to make it look so chic! 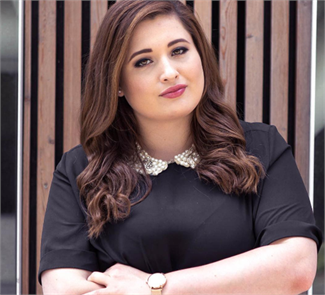 Hollie is a blogger and social media executive based in London. 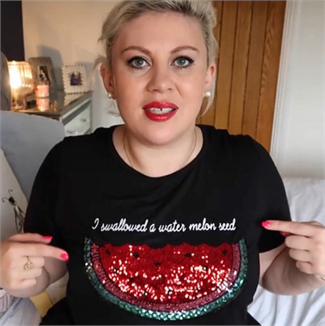 In January 2017 she became mummy to the gorgeous Baby C so not only providing fashion tips she also gives out parenting advice! 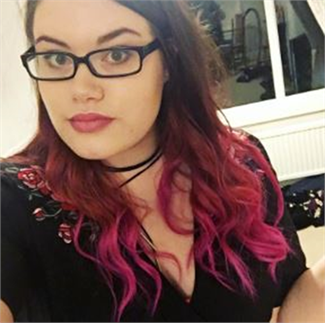 Liz Black, blogs about, blog image, body positive, fashion, food, lifestyle and trends. Rebeca lives in Barcelona! She blogs via We Lover Size. Her style is very fun and bright! Regiane Botazzoli, 27 years old, living in Londrina- PR. 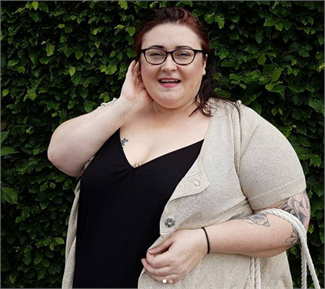 She is a fashion blogger, evangelical and plus size. On her blog you will find everything about fashion, trends and looks inspirations, all first hand. Sam Rowswell is a award nominated blogger. She is fashion, food and lifestyle blogger. Jules is a German blogger! She blogs via SchönWild. She has a very sophisticated sense of style and always looks classy! 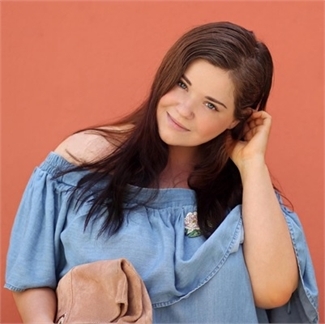 Serena is a 24 year old self employed blog designer from the north west of England. 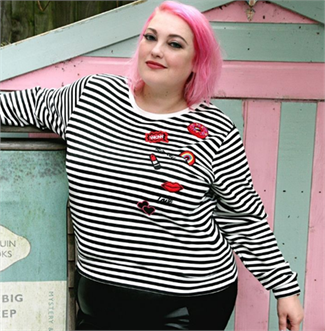 Steph is a 20-something plus size style blogger & fat positivity advocate from London. 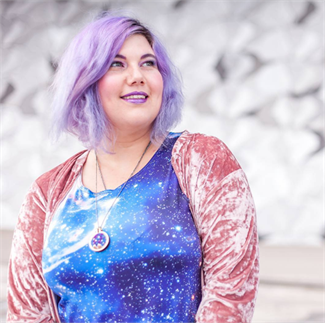 Her blog "Nerd About Town" is a hub for all things style and inspiration. 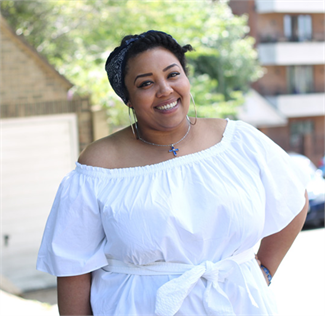 Amber, is the plus size blogger behind the Chicago-based fashion blog, Style Plus Curves. 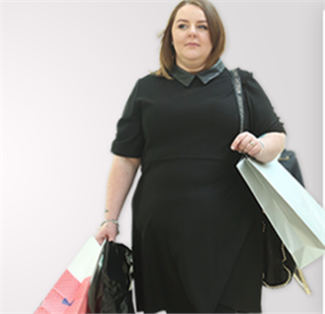 She believes in the power of fashion and its very real impact on your day-to-day life. Personal style can influence everything from your mood, to your career, to your confidence and your relationships, and it should be fun and all-inclusive. Susan is well known for her singing over on her YouTube channel but she also has a keen eye for Fashion! Tanya is a 40 something mother of twins. 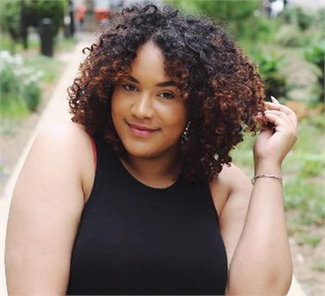 She is currently loving life in the Plus Size Community, spending her time going to events, modelling, meeting up and experiencing everything she can. Em is based in Sheffield. She blogs through her own individual blog Terrible Tumbles. She has a retro sense of style and looks flawless in a floral print! 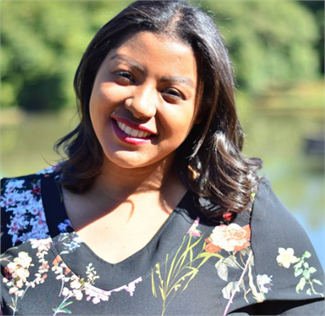 Josine is the founder of theBiggerBlog.com. 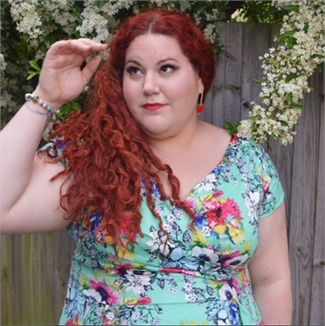 Her website shows realistic photos, shopping addresses and information focussing on curvy girls and size diversity. 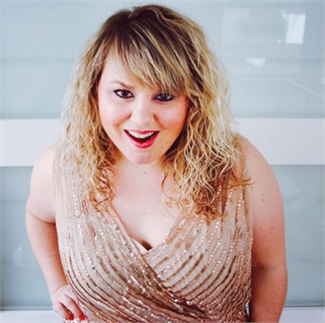 Jes is a blogger, speaker, author, and former mental health professional. 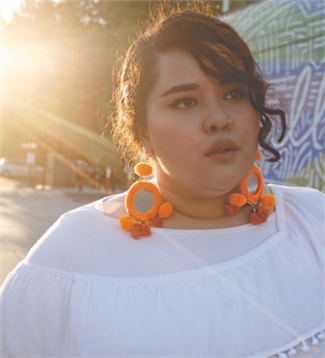 She preaches the importance of body autonomy, self-love, mental health, and strong coffee. 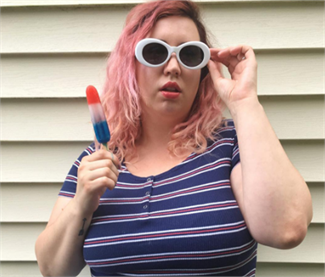 I'm Becky is a 20-something writer, photographer, wanderer and beauty addict. She posts everything from fashion to food with bits of her own life thrown in for good measure. 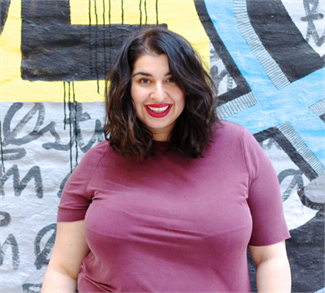 Mona is a Muslim, Egyptian, Irish, American blogger living in Sacramento CA. She has a AA in Merchandise Marketing and BS Business Management from FIDM/Fashion Institute of Design and Merchandising with an unwavering love for the world of creating beautiful, engaging and delightful things. Cecile, better known as Theodora. 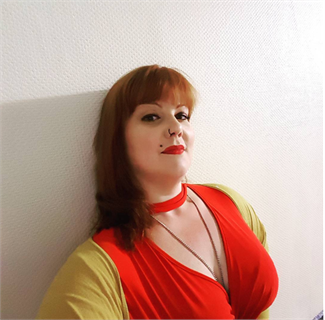 Her blog is about beauty, fashion and lifestyle for women with curves. 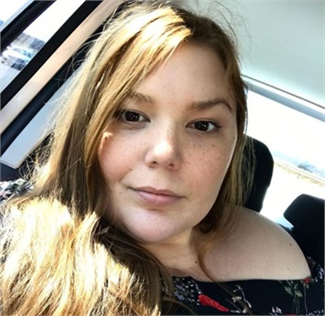 She would like to attract other plus size beauties and also others to inspire. Tia, has also loved art and fashion from a young age. She believes that beauty isn't just based on appearance and that inner beauty isn't just based on appearance. Eli is 30 years old ad lives in a small town near Barcelona. She is addicted to shopping, chocolate and the internet. She has also dreamed of helping others to dress and find their own style. Leah lives in the east coast. 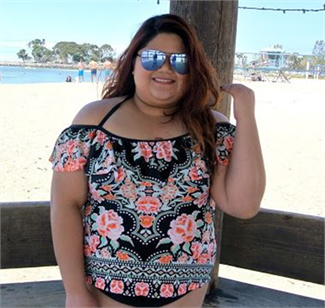 She has comfortably been plus size for her entire life and she is bursting with confidence and excitement. 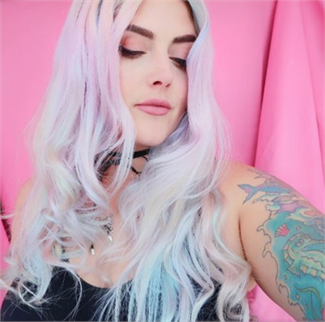 Carolina is a model, youtuber and maker. Carolina writes and directs XLady. She is addicted to reading, movies and clothes. Yasmine is a 29-year old graphic designer based London and from Norway. Yasmine writes about fitness, food and fashion.